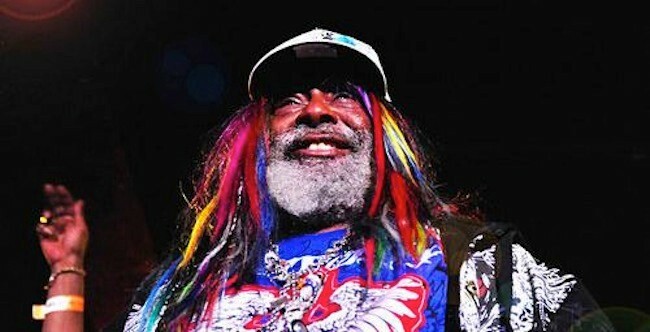 Parliament-Funkadelic is a funk, soul and rock music collective headed by George Clinton. Their style has been dubbed P-Funk. Collectively the group has existed under various names since the 1960s and has been known for top-notch musicianship, politically charged lyrics, outlandish concept albums and memorable live performances. They influenced numerous post-disco and post-punk music groups of the 1980s and 1990s. The collective's origins date back to the doo-wop group The Parliaments, formed in the late 1950s in Plainfield, New Jersey. Under Clinton's direction, by the early 1970s the groups Parliament and Funkadelic were operating concurrently and consisted of the same stable of musicians playing different types of funk music for two different labels. The name "Parliament-Funkadelic" became the catch-all term for the multiple bands in Clinton's stable. By the late 1970s the collective had grown to include dozens of musicians recording and touring under many different group names and solo projects. (See P-Funk offshoot groups and solo ventures.) Overall, the collective achieved thirteen top ten hits in the American R&B music charts between 1967 and 1983, including six number one hits. Funkadelic is a funk band with a psychedelic rock touch whose influences include the amplifier sounds of Jimi Hendrix and Led Zeppelin, James Brown's funk, blues, Sun Ra's experimentation, Frank Zappa's and the Coasters' humour, the concept albums of the Beatles and the Who and southern soul artists like Otis Redding and Screamin' Jay Hawkins. Parliament is a funk/R&B band whose influences are the funky side of Hendrix and Sly Stone, Motown soul groups turned funk groups like the Temptations, the political songs of the Impressions, Rufus Thomas' southern funk, doo-wop groups like the Coasters for the humour and Frankie Lymon & the Teenagers. The etymology of the term "P-Funk" is subject to multiple interpretations. It has been identified typically as an abbreviation of "Parliament-Funkadelic." Another suggested definition is "Plainfield Funk", referring to Plainfield, New Jersey, the hometown of the band's original line-up. The liner notes of CD versions of the 1978 Parliament album Motor Booty Affair suggest that the "P" stands for "Pure." It has also been suggested that it is an abbreviation of "Psychedelic Funk." The breakout popularity of Parliament-Funkadelic lead to widespread use of the term "P-Funk" to describe what is now considered to be a genre of music in its own right.